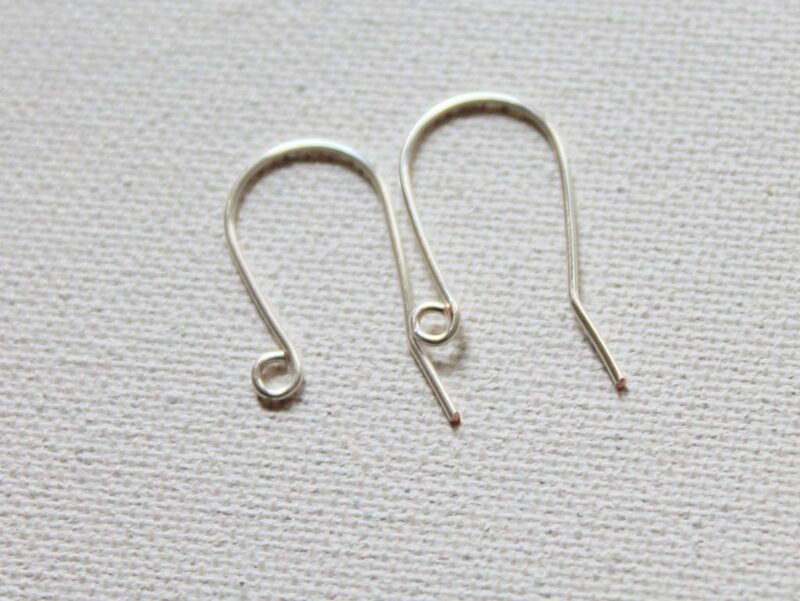 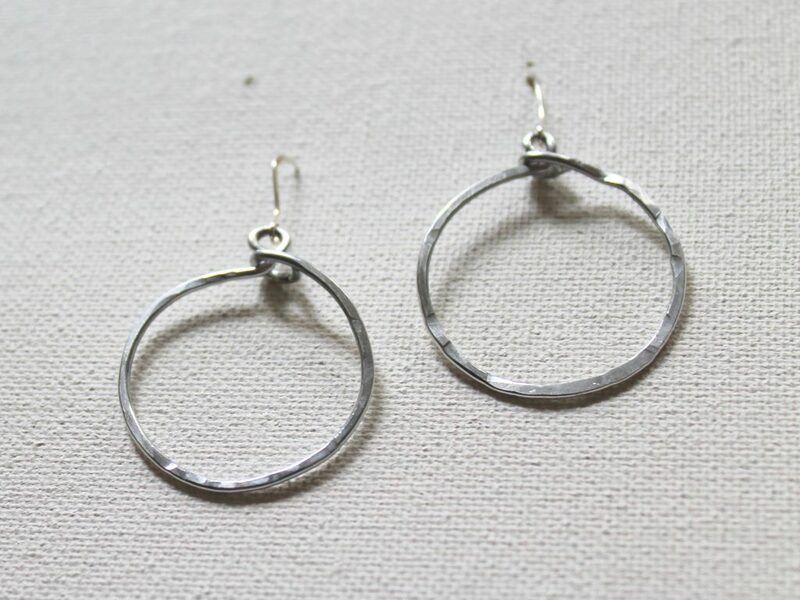 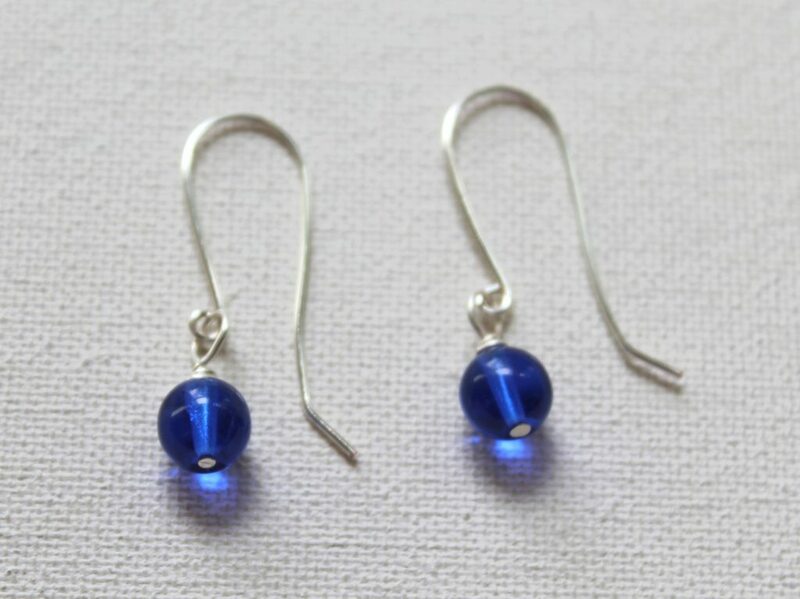 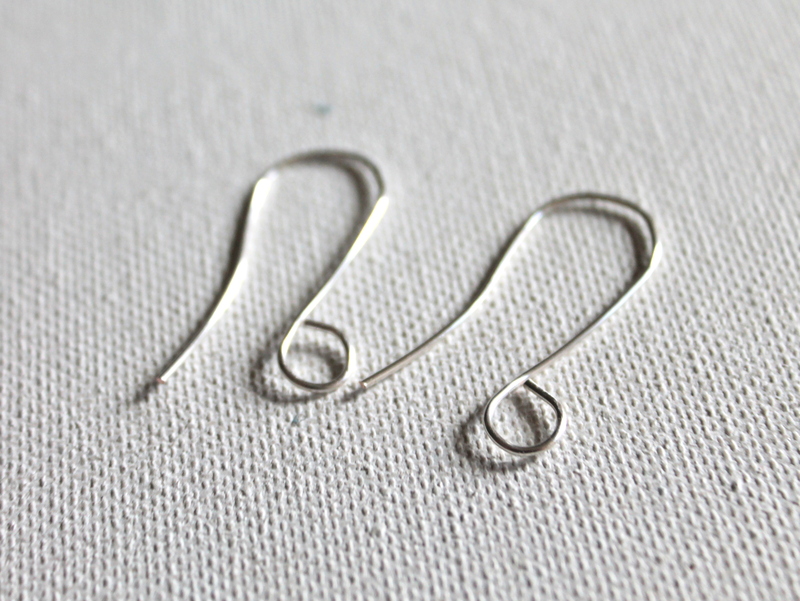 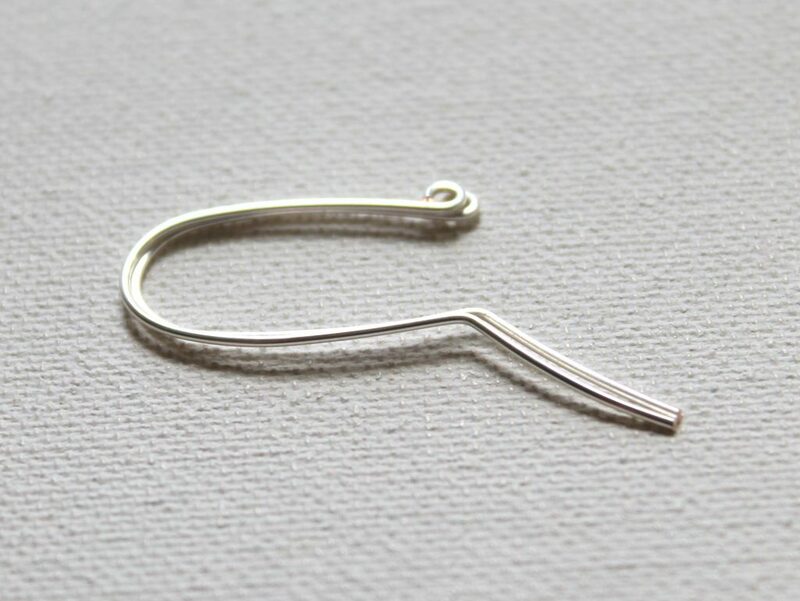 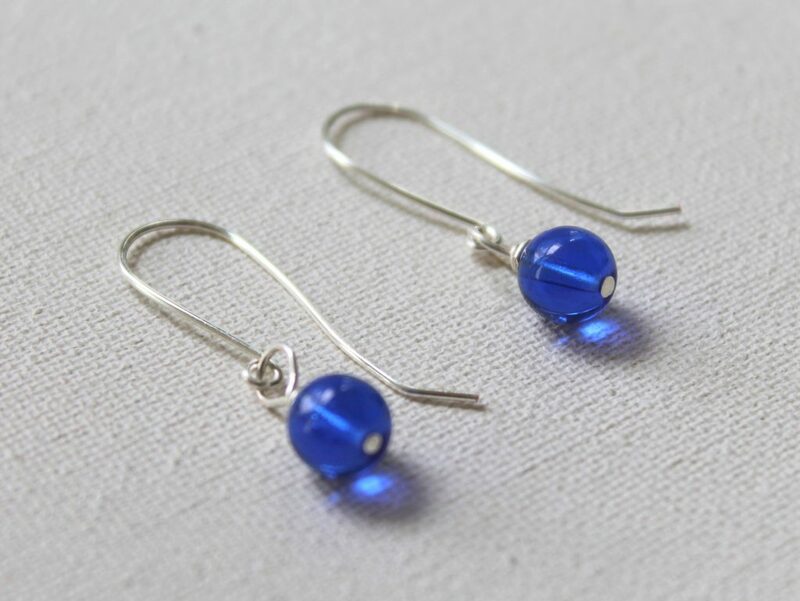 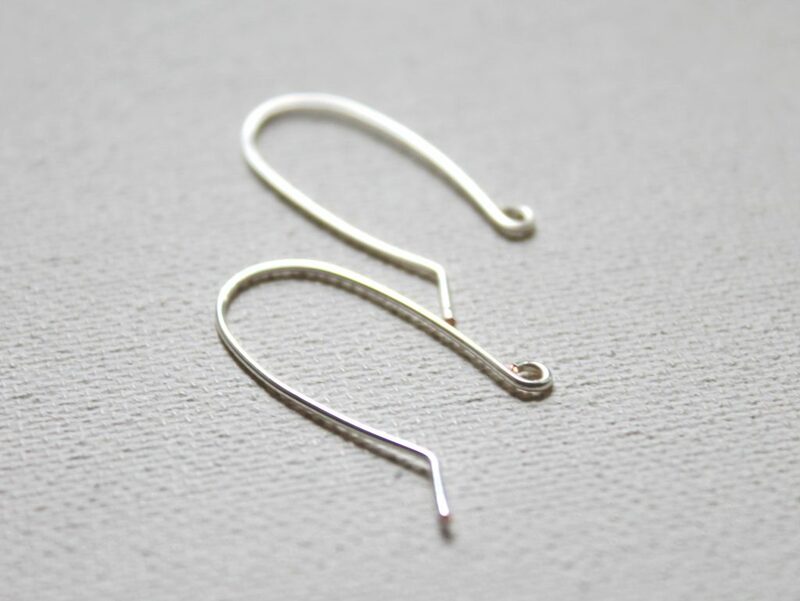 These earrings are so cute plain, but also are a great frame to add wire wrapped beads or wire wrapped shapes. 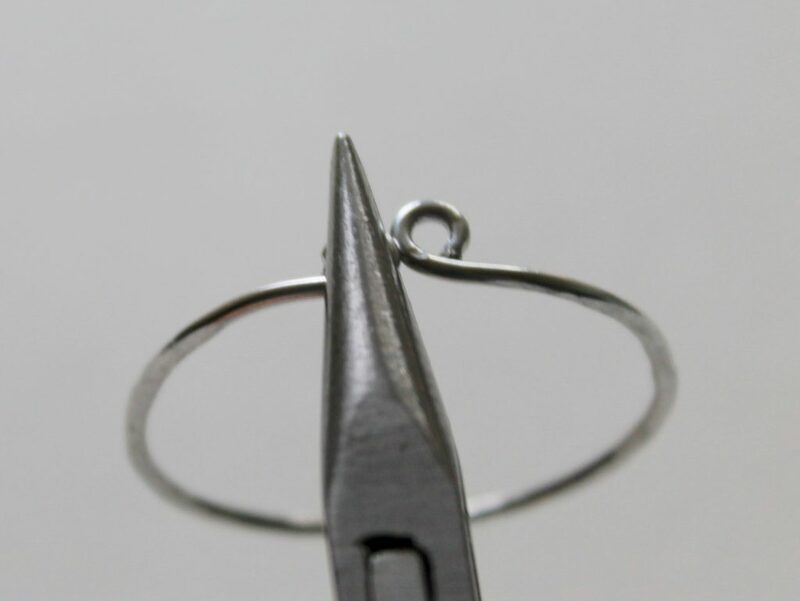 Form a hoop by wrapping the wire around your mandrel or other cylindrical object. 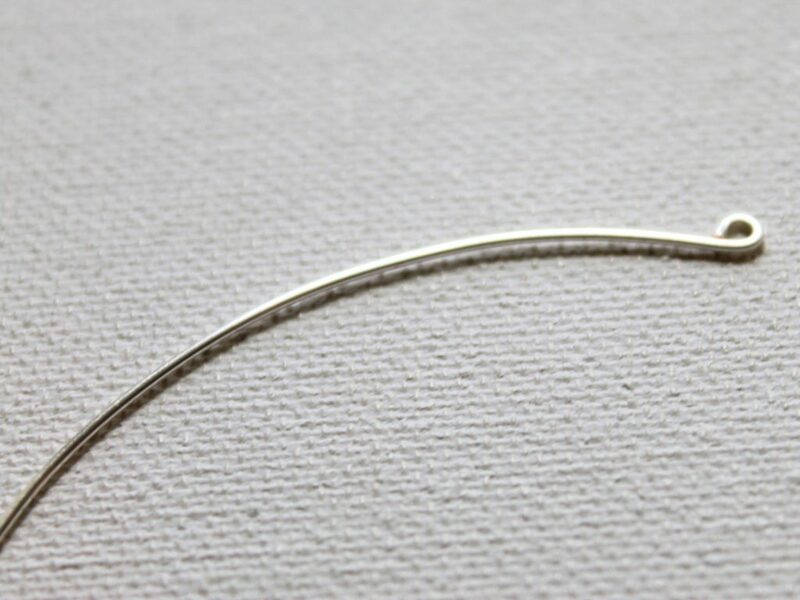 Cut the wire leaving about 1/4 inch on each side past the point where the wire crosses. 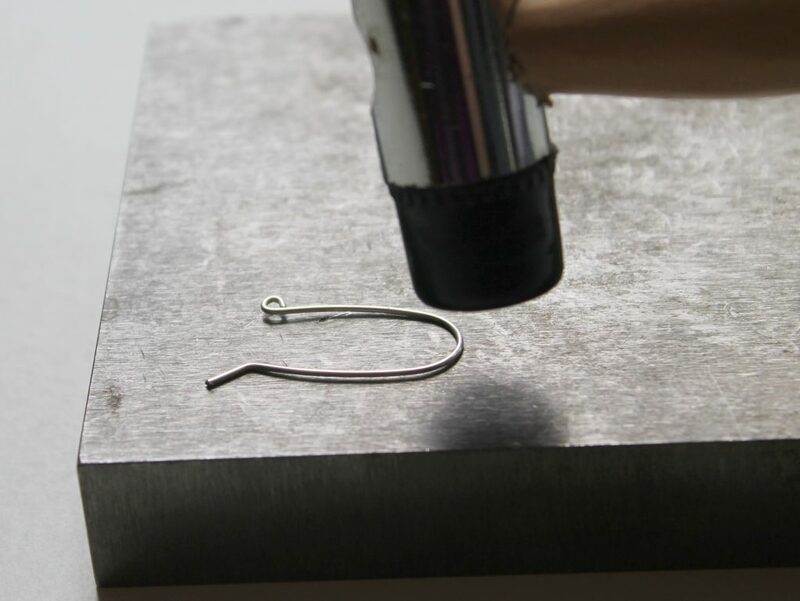 Cut each end with a flush cut. 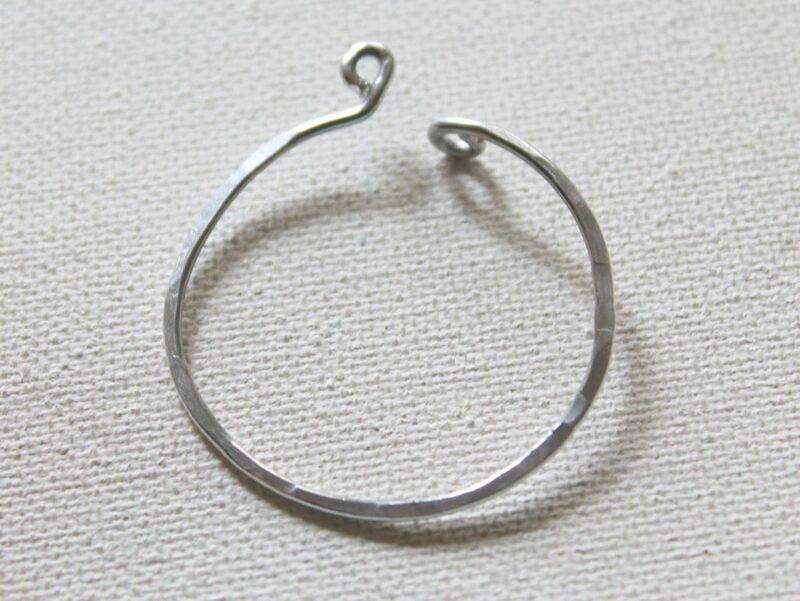 Make a loop on each end of the wire, both going away from the hoop. 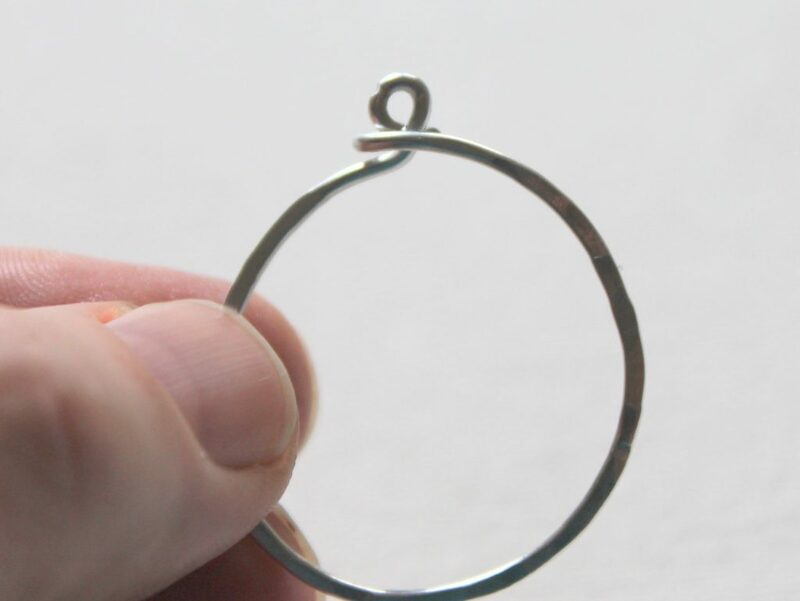 Hammer the hoop with a chasing hammer being careful not to hammer the loops. 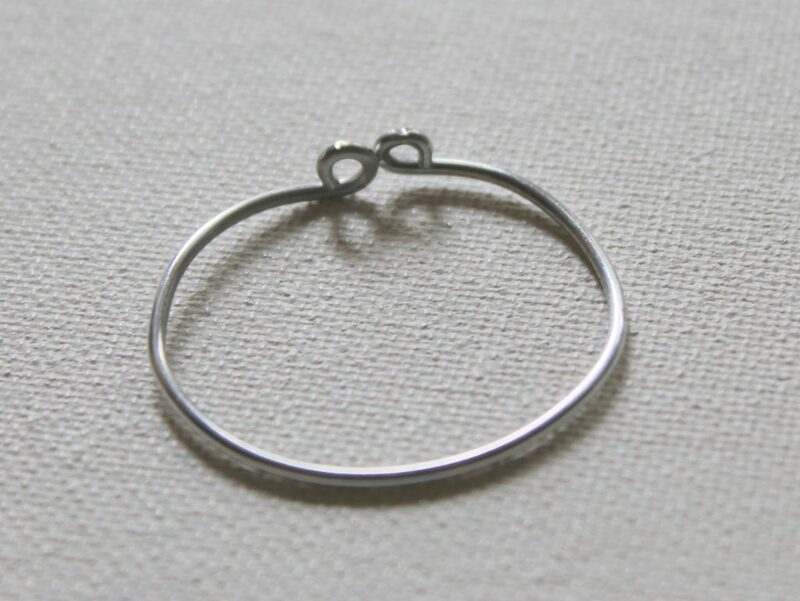 Hold the hoop with the loops facing away from you. 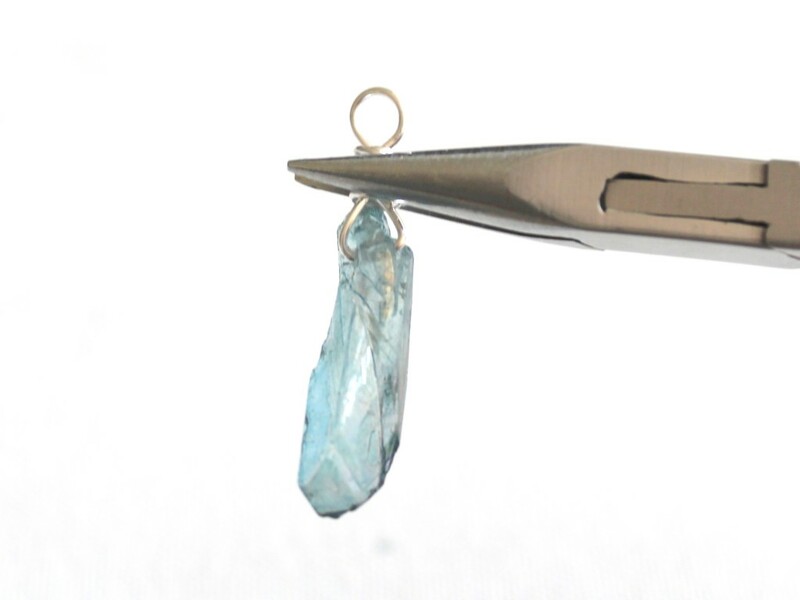 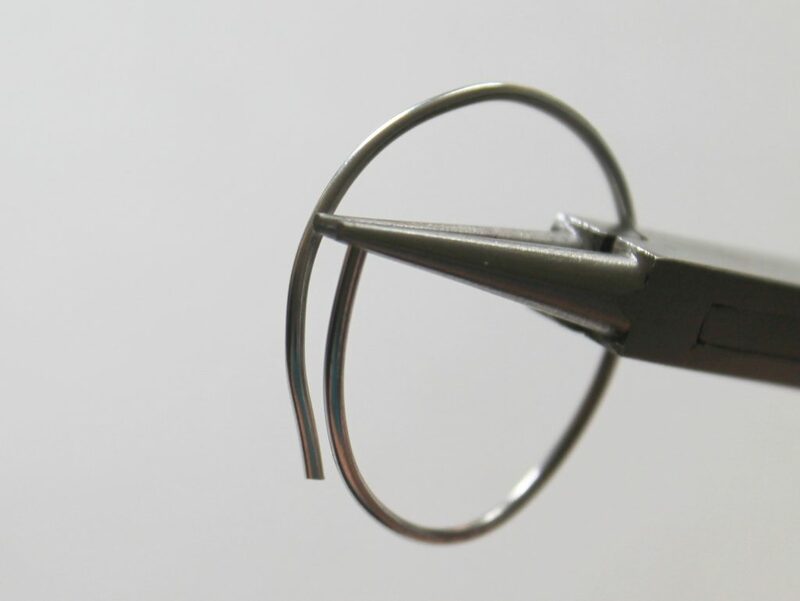 Use chain nose pliers to twist the left loop up. 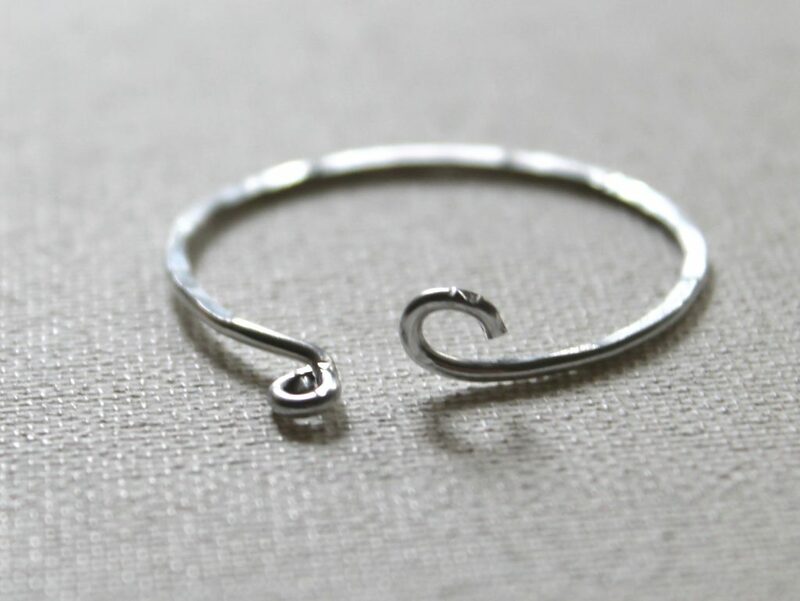 Carefully open the loop on the right side so it’s in a shape of a hook. 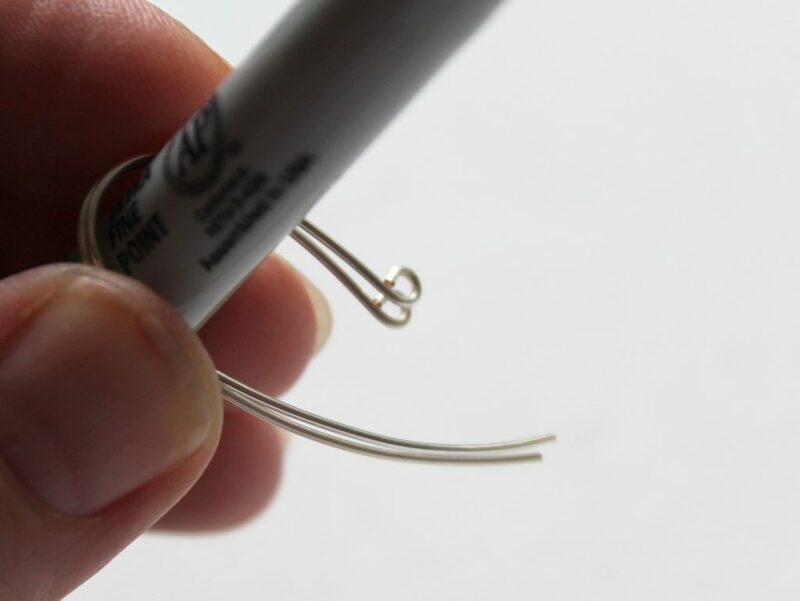 Place the left loop into the open hook. 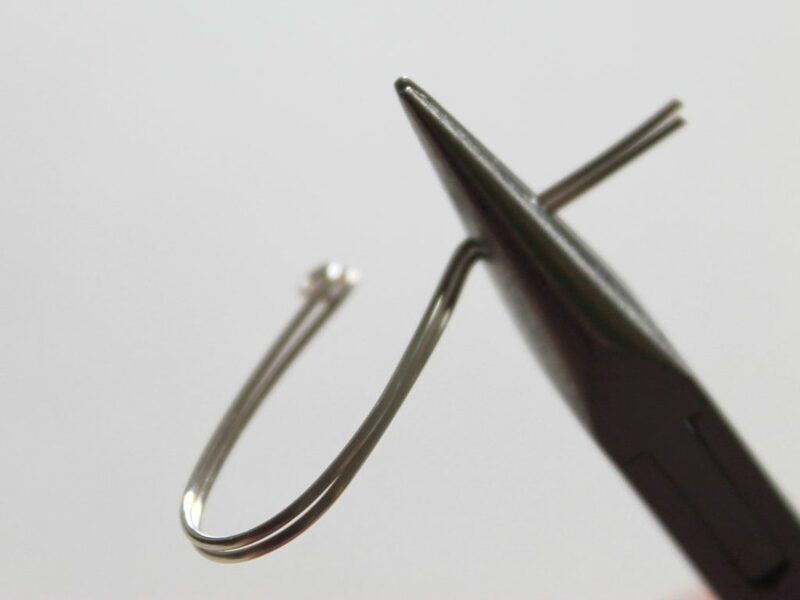 Then carefully close the hook. 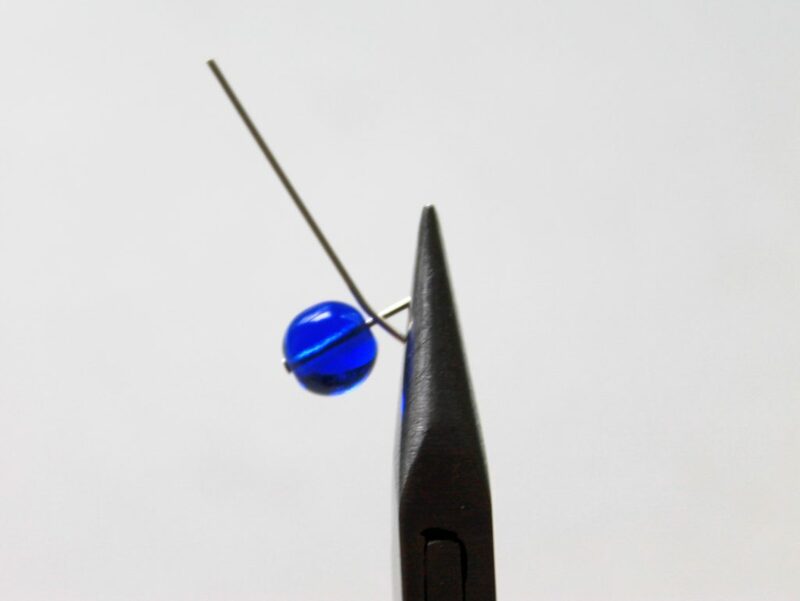 Ready for a daily creativity challenge? 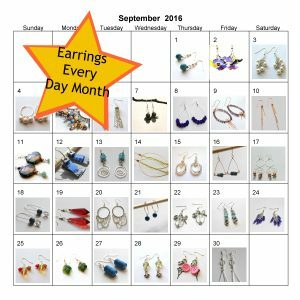 Sign up for Earrings Every Day Month! 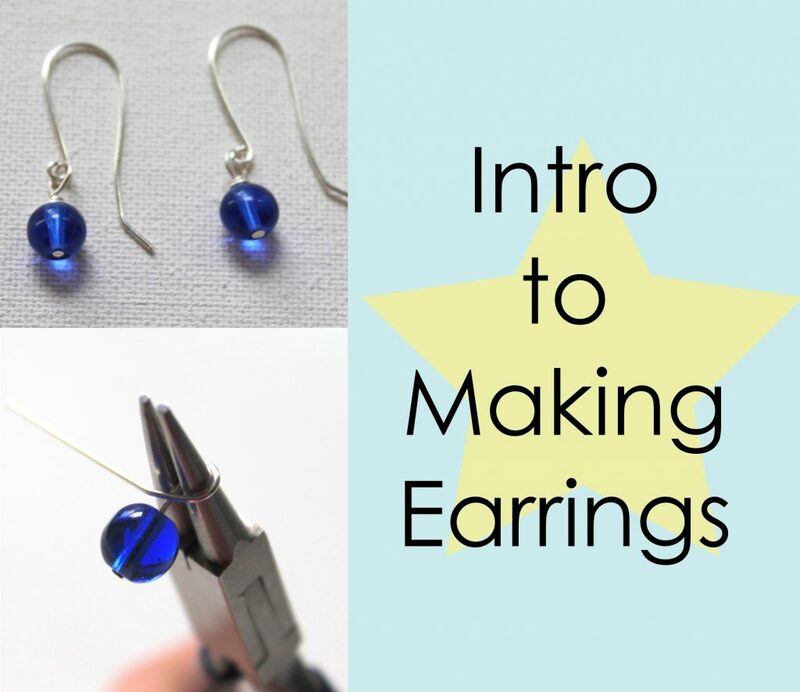 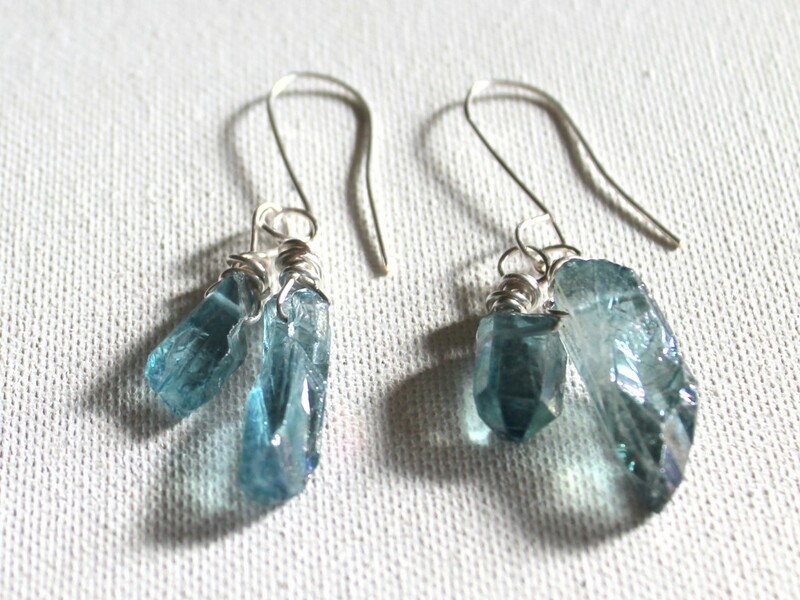 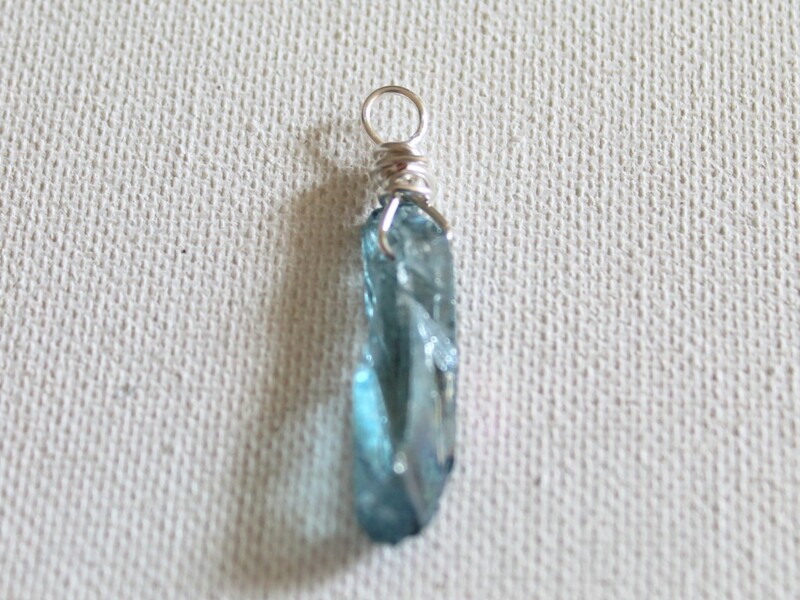 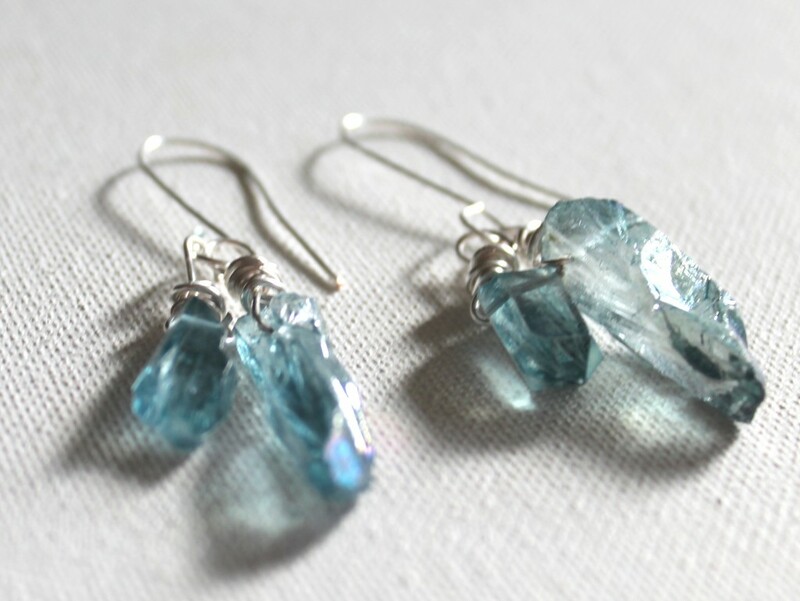 Or upgrade and get an earring tutorial every day for an entire month with Earrings eCourse! 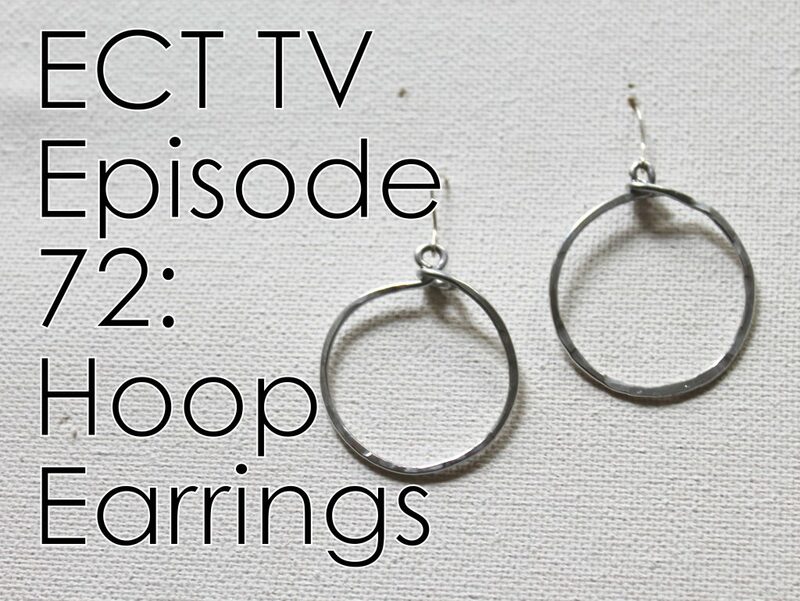 Hi and welcome to another episode of Emerging Creatively Tutorials TV (ECT TV)! 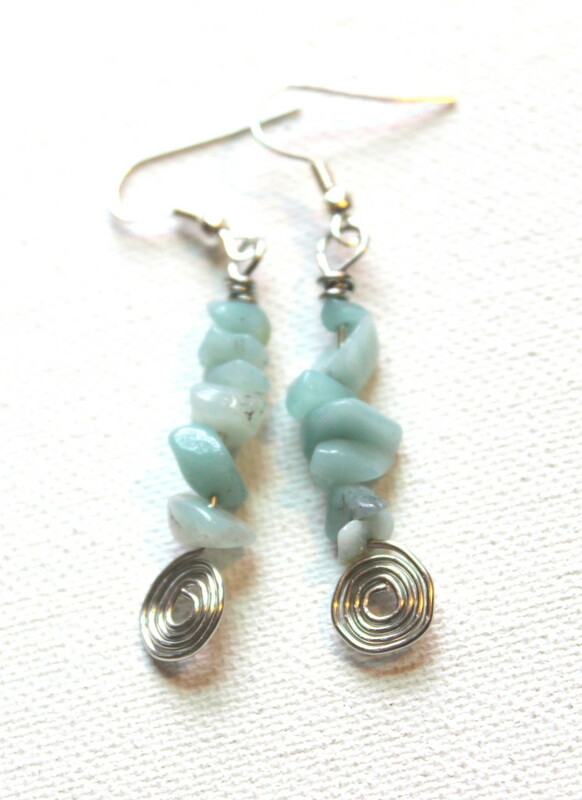 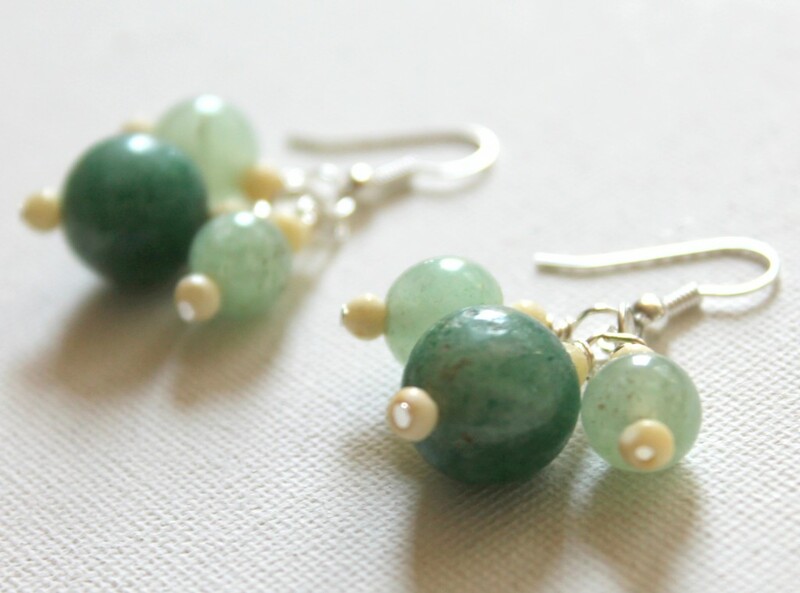 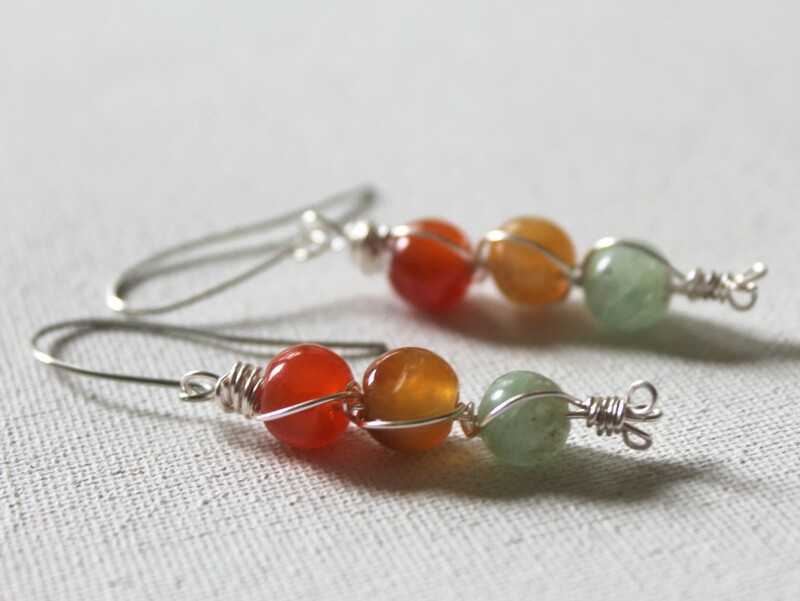 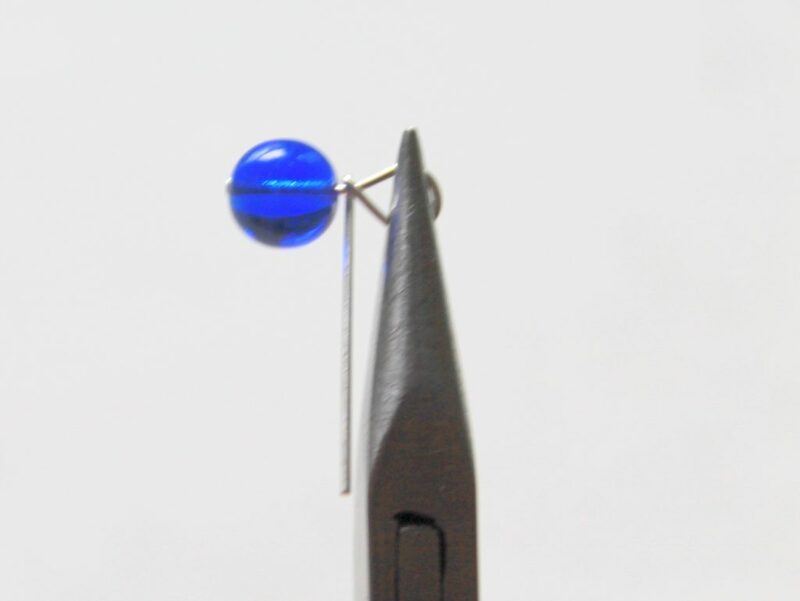 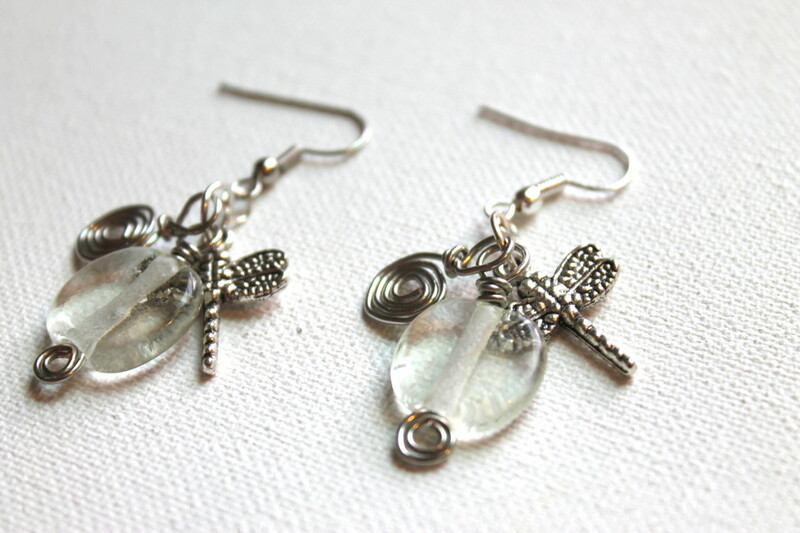 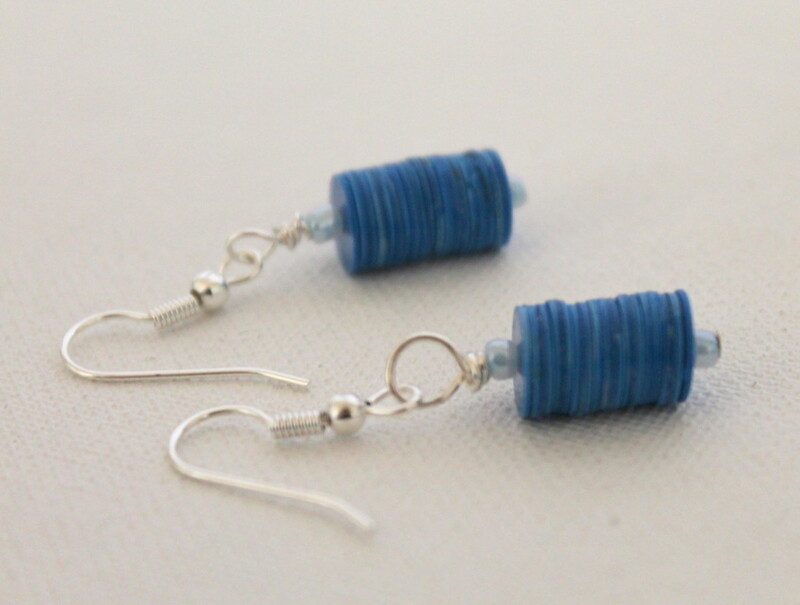 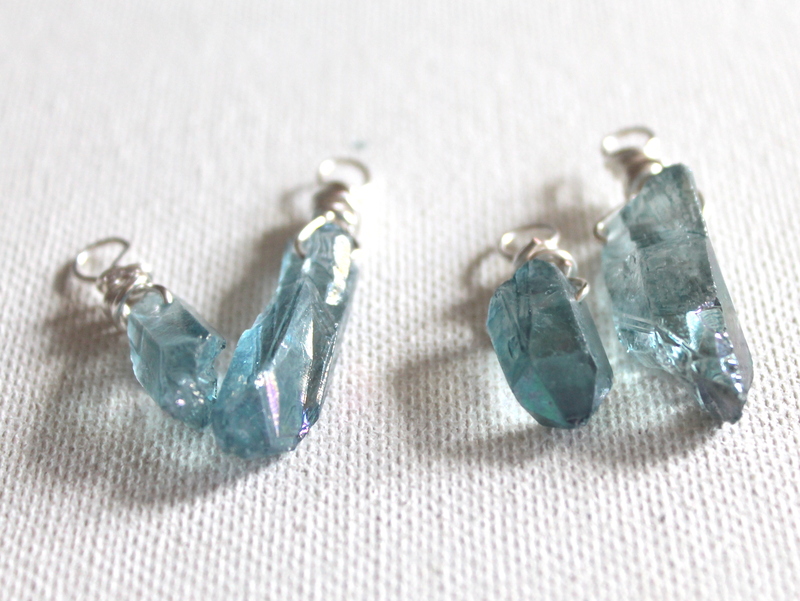 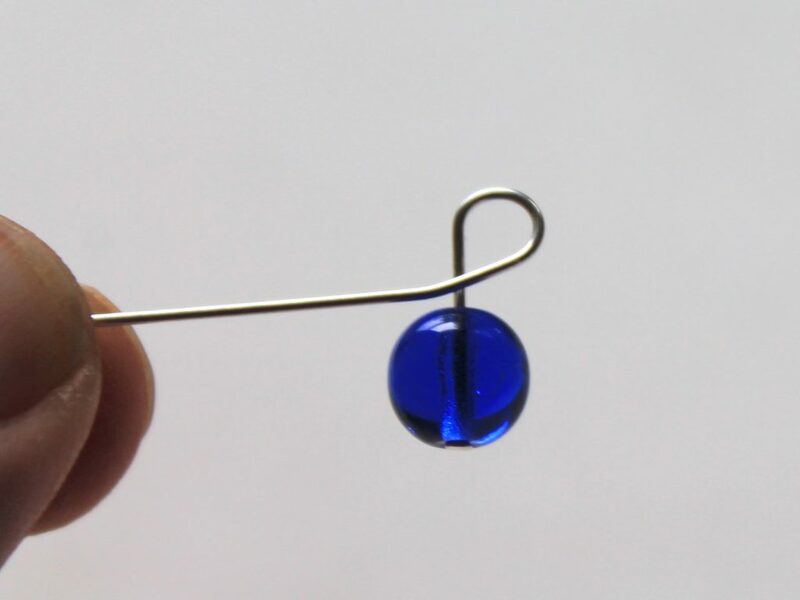 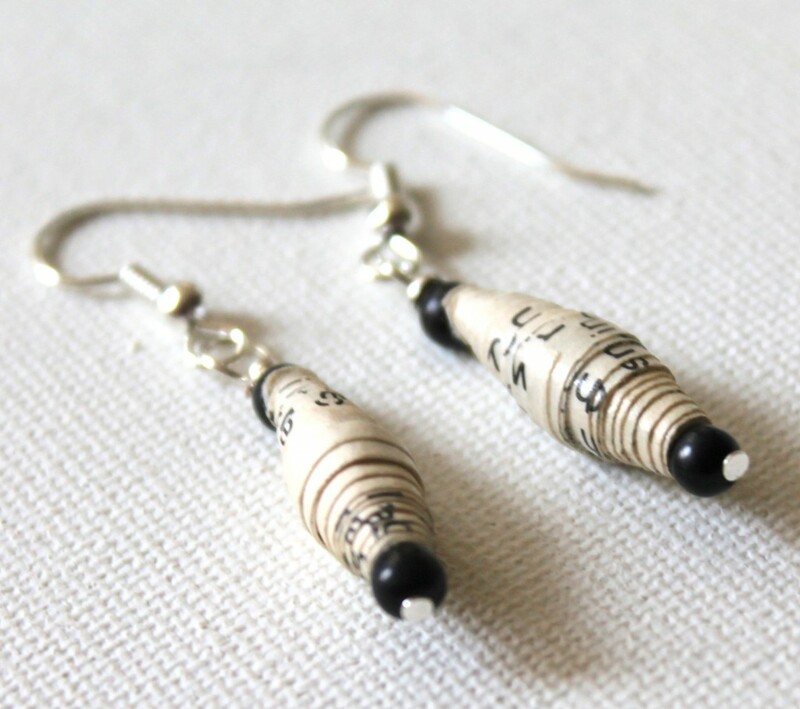 Today I’ll teach you how to wire wrap side drilled beads and then make a fun pair of earrings! 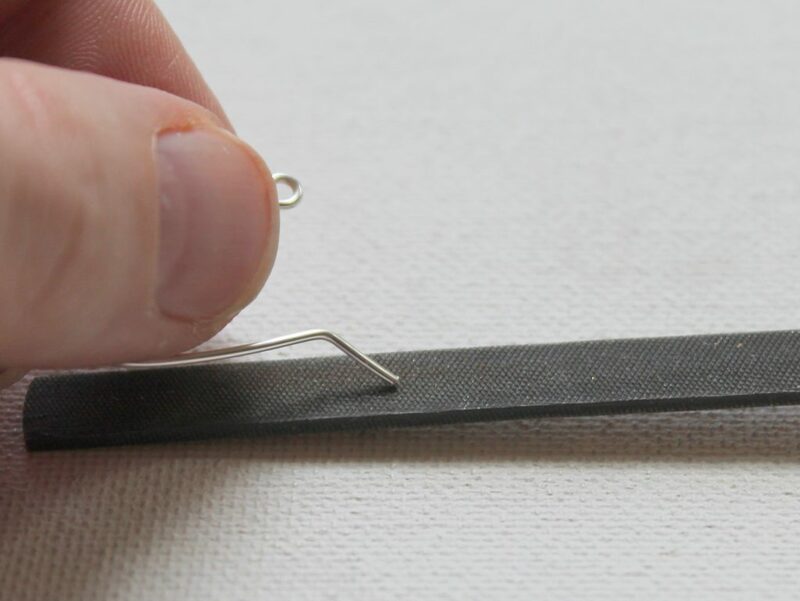 These are step-by-step photo instructions of the exact same tutorial that’s in the video, except in photos. 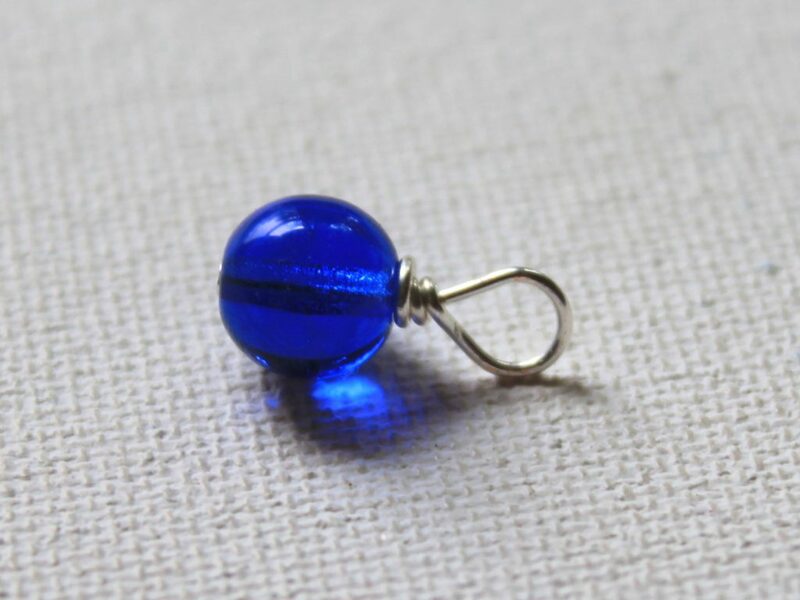 4 Beads. 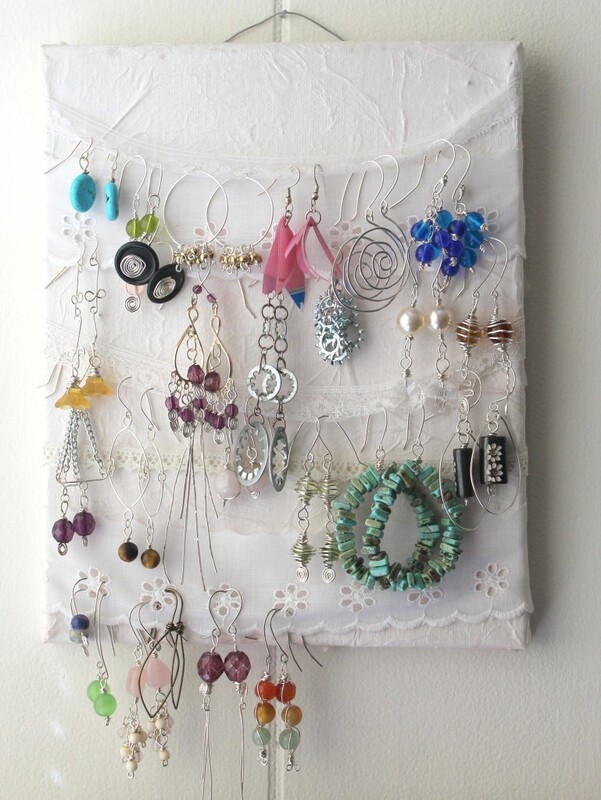 I used beads from Michaels, but you can use any beads that are side drilled. 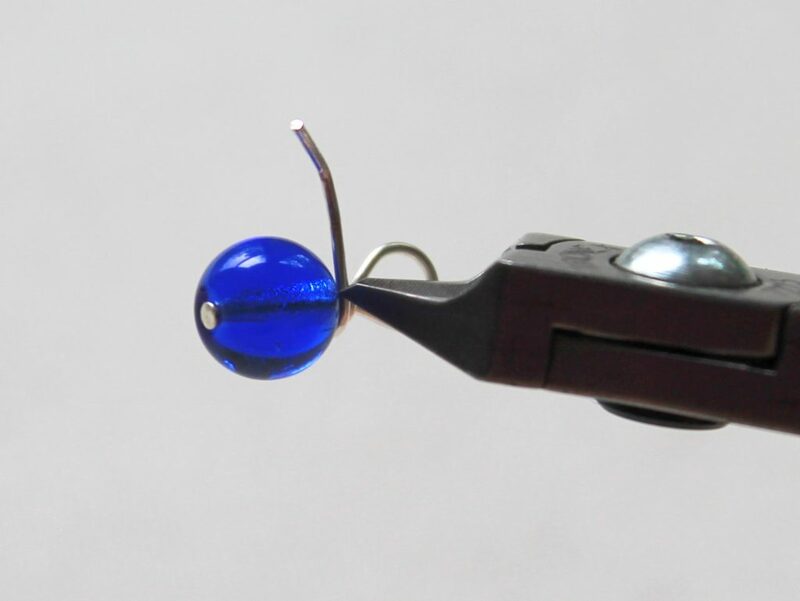 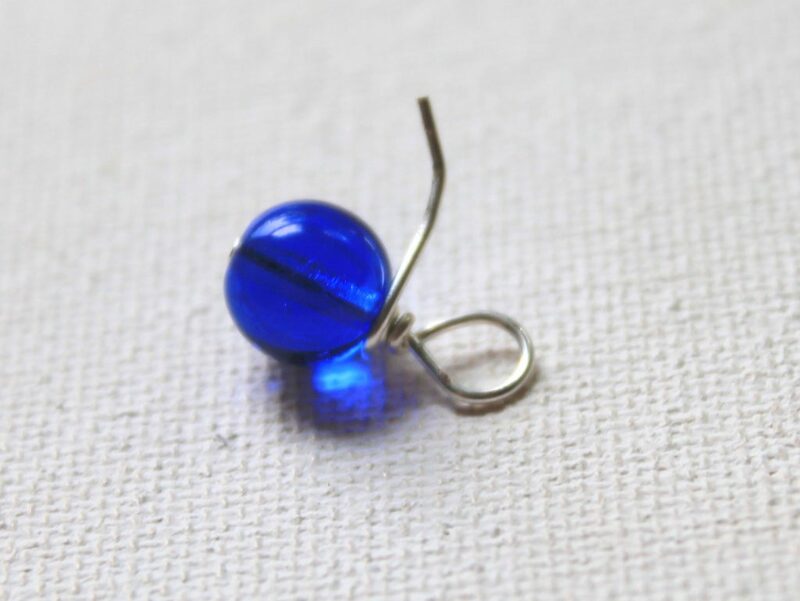 Slide a bead on your 20 gauge wire. 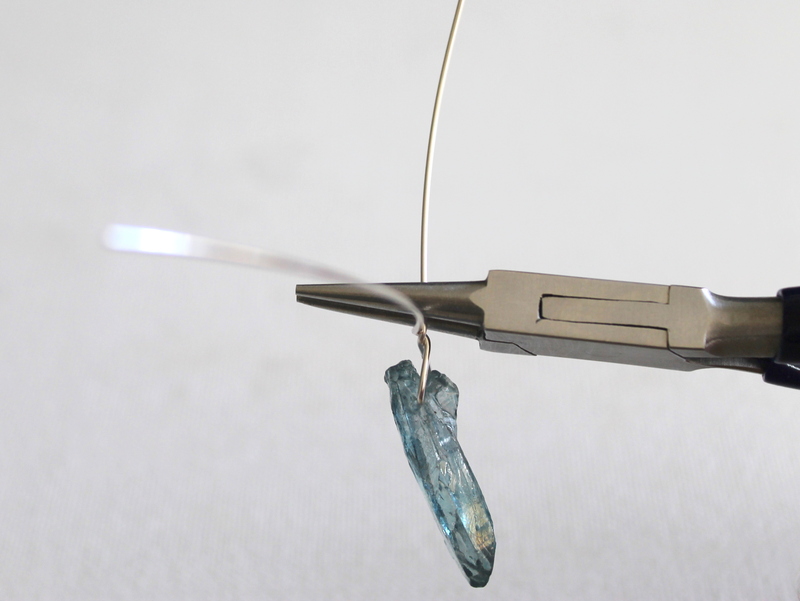 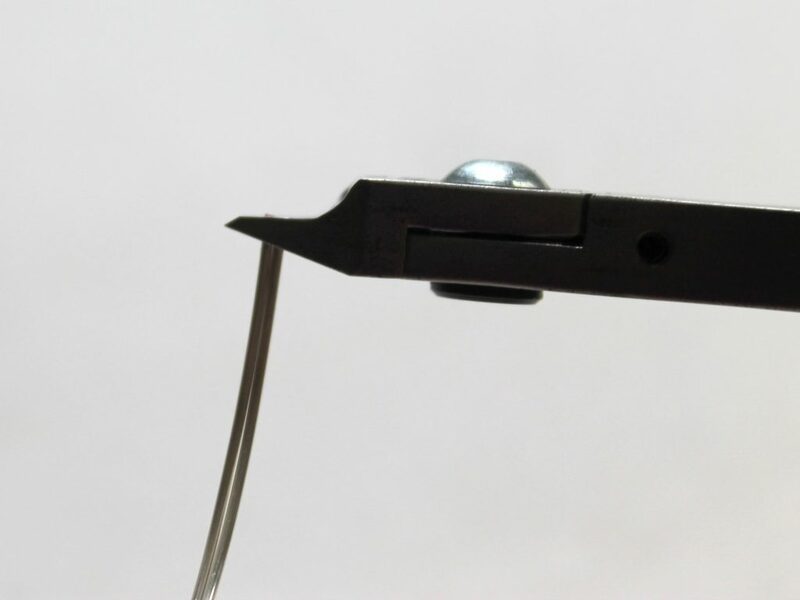 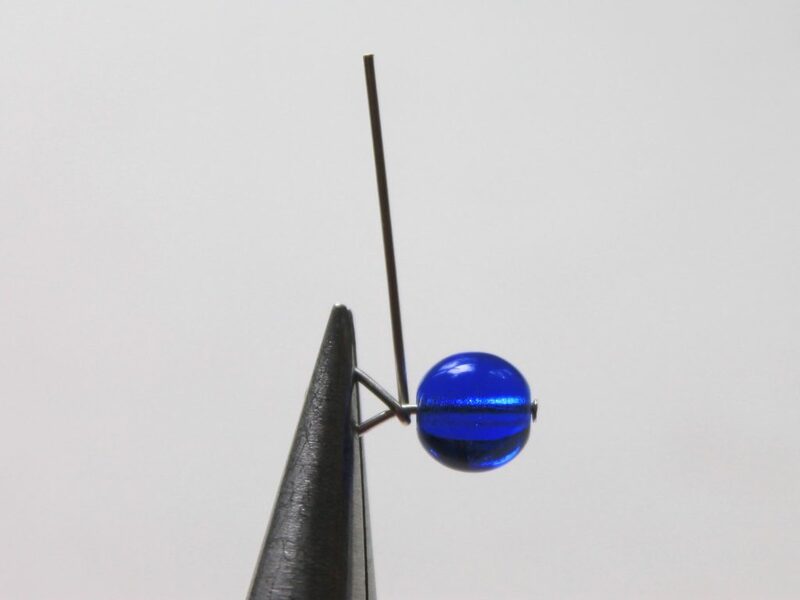 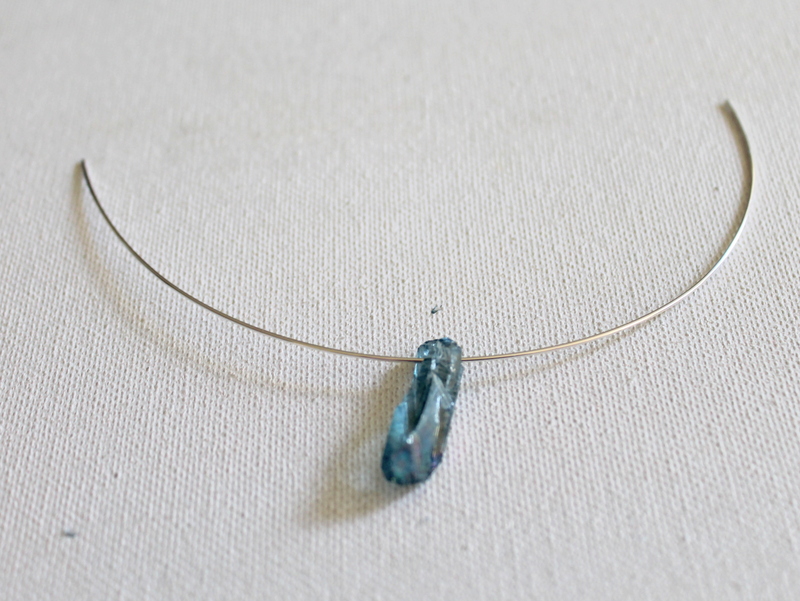 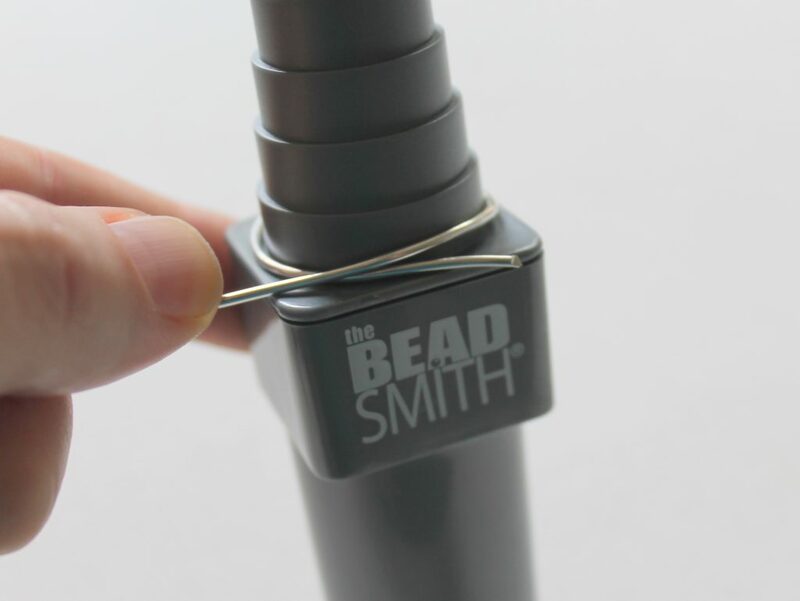 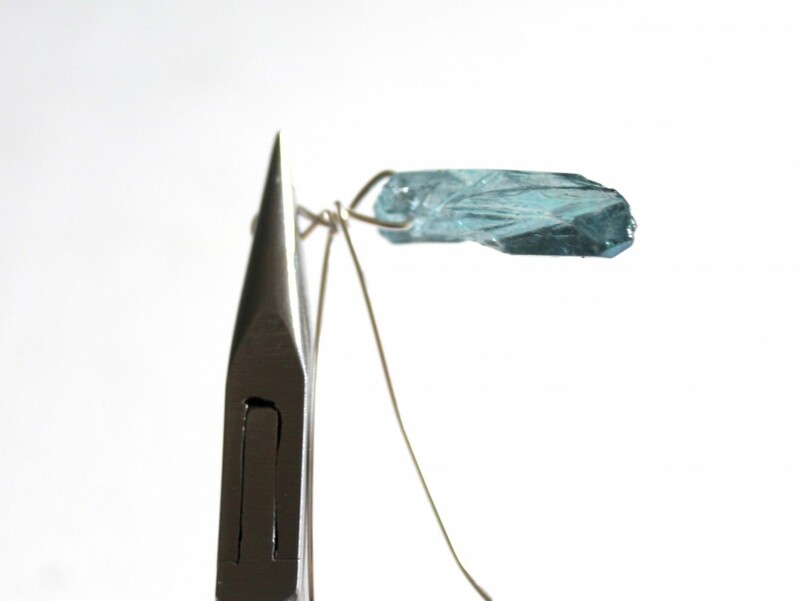 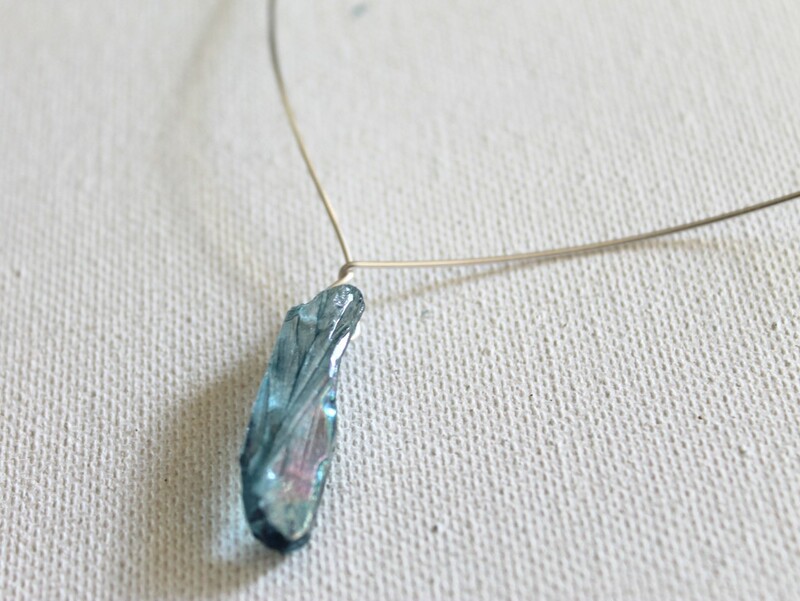 Leave about 3″ of wire on each side of the bead and cut the wire. 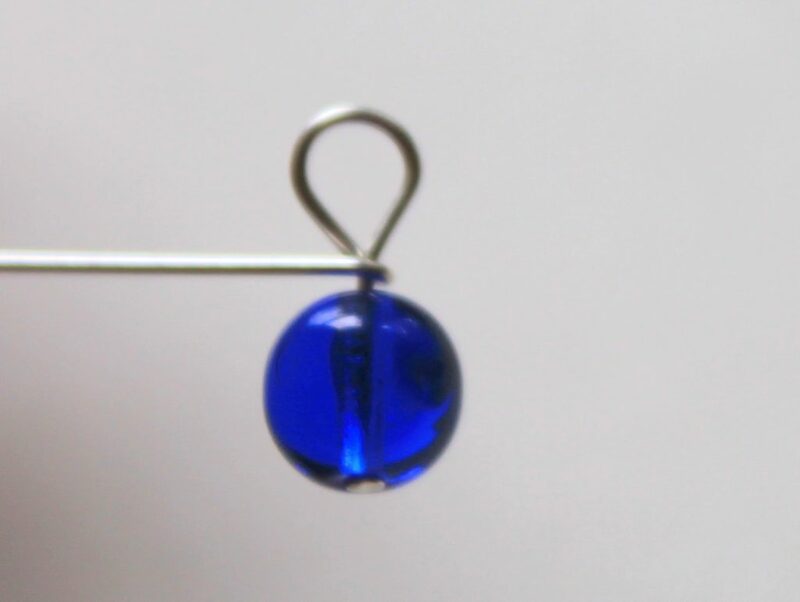 Center the bead on the wire. 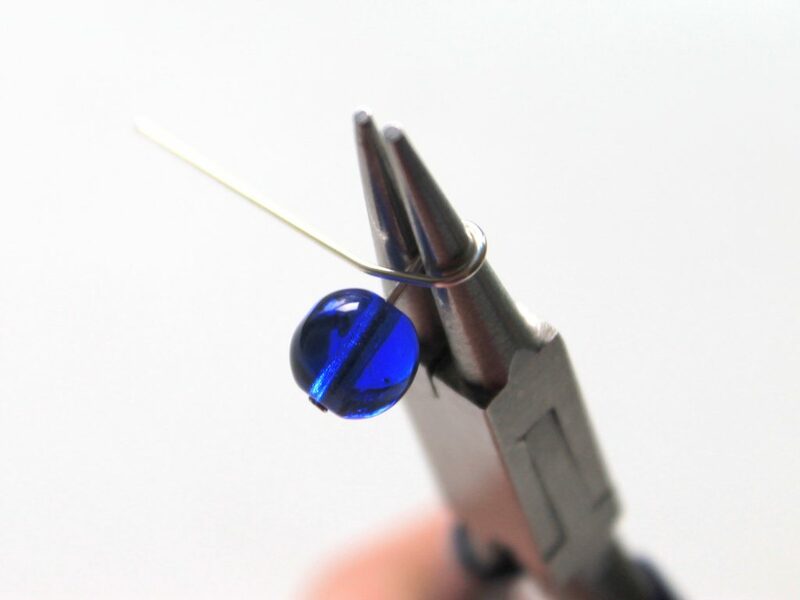 Cross the wire over in the top, middle of the bead. 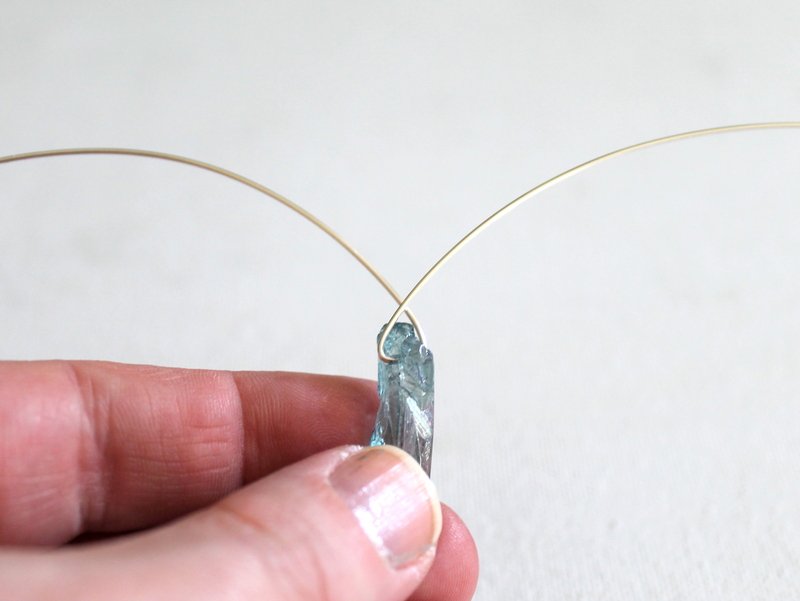 If your wires ended up being two different lengths, use the longer one for this step. 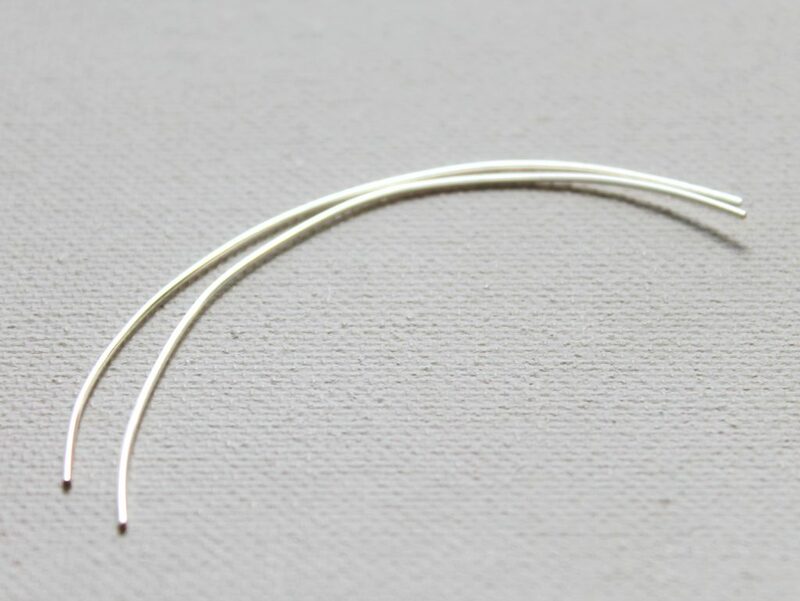 If they’re the same length, it doesn’t matter which wire you use. 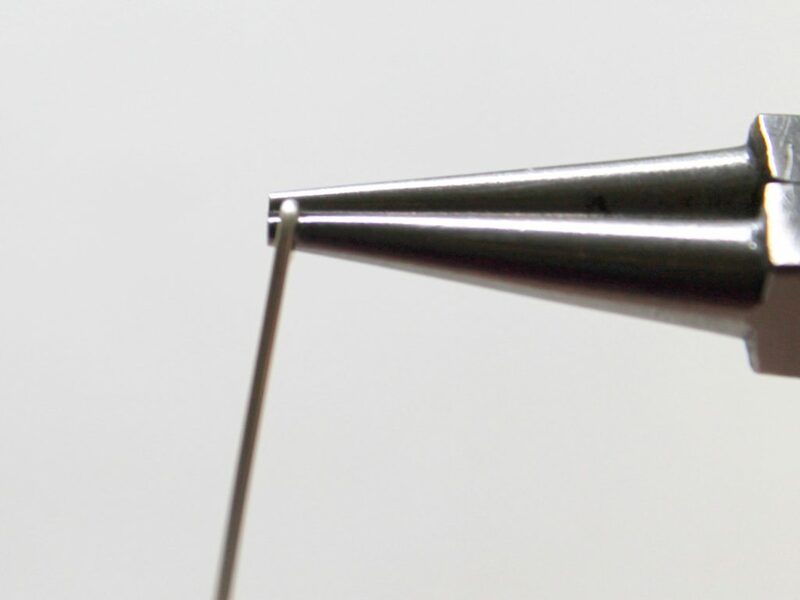 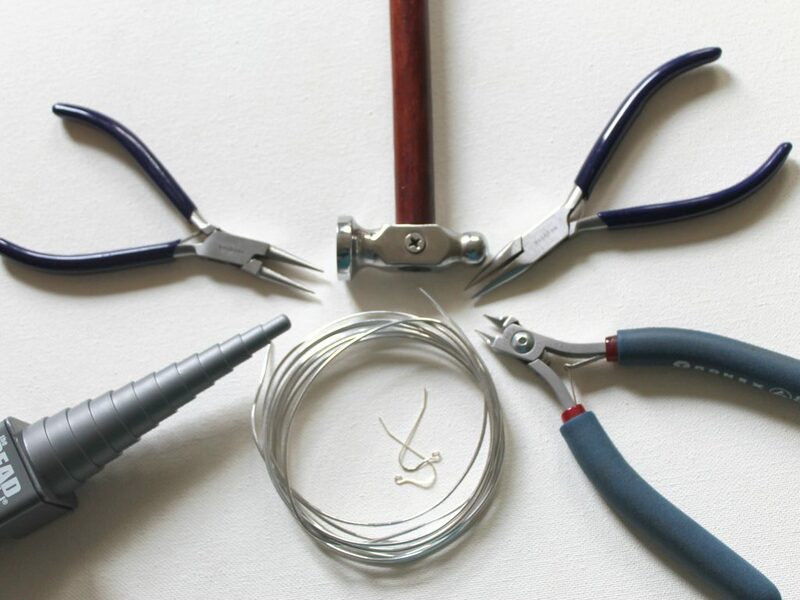 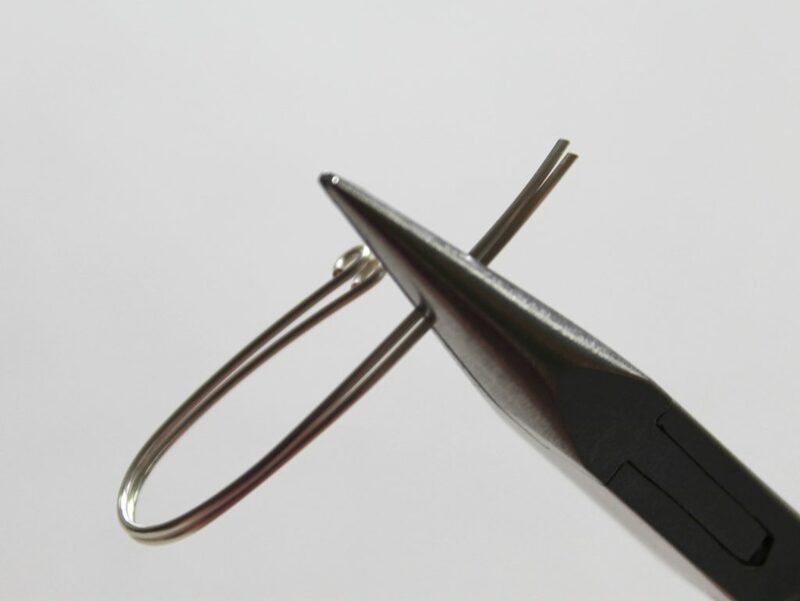 Hold one of the wires in round nose pliers just above the twist you made. 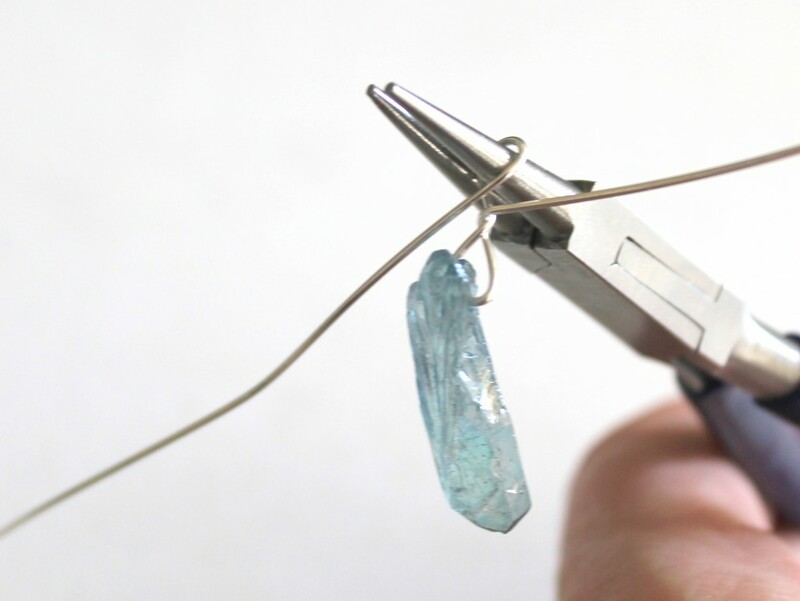 Wrap the wire toward you and around the pliers in between the twist and the pliers forming a loop. 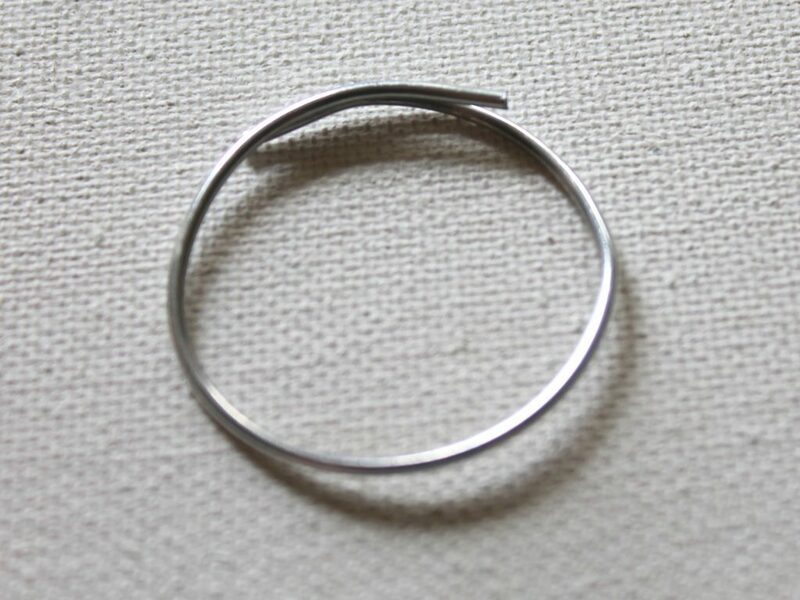 The loop will probably be off center and you want it centered in the middle of the bead. 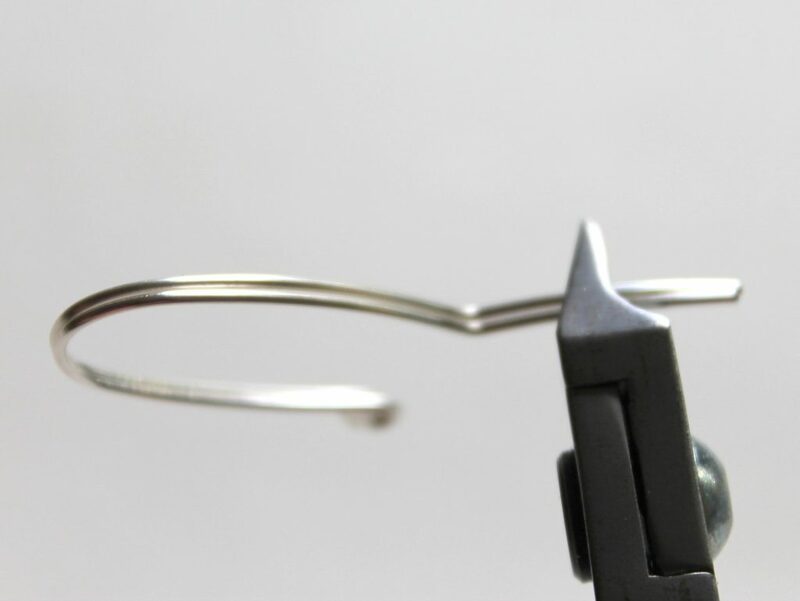 I straighten the loop by holding the loop in chain nose pliers and while I wrap the wire around one time I straighten the loop so it’s centered. 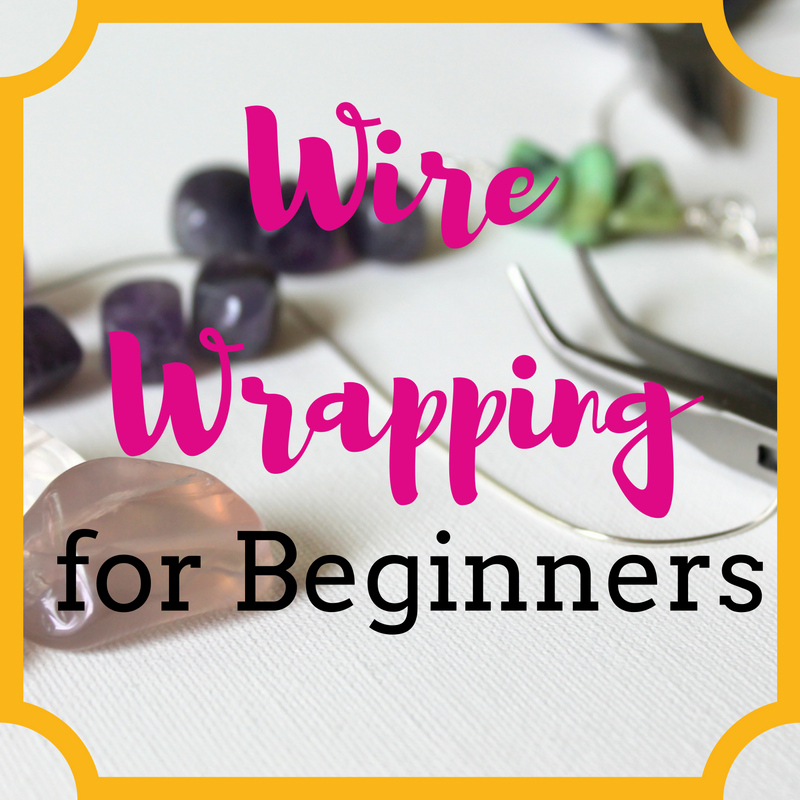 Now I switch hands and continue wrapping a few times with the first wire. 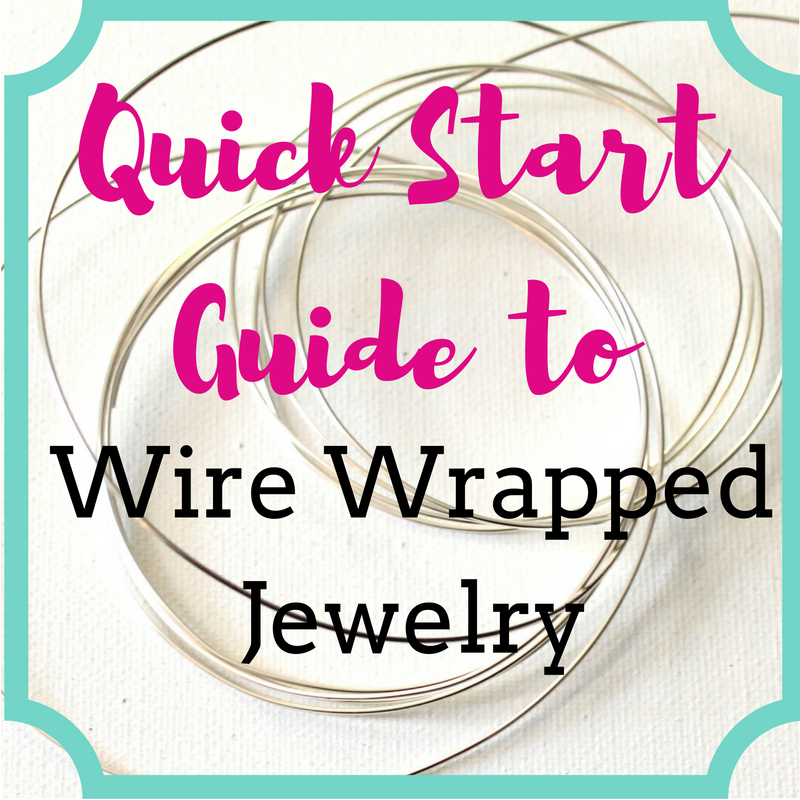 Then wrap around a few times with the other wire. 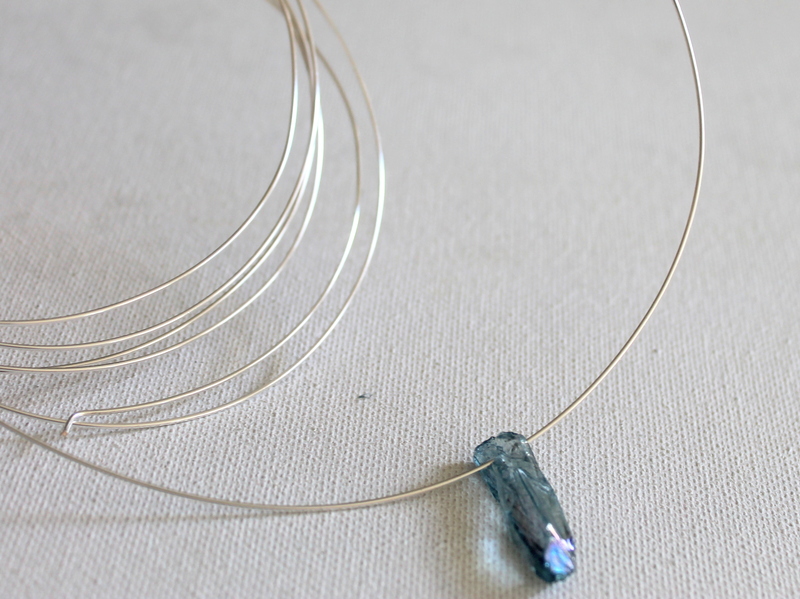 Go in the direction that the wire wants to go. 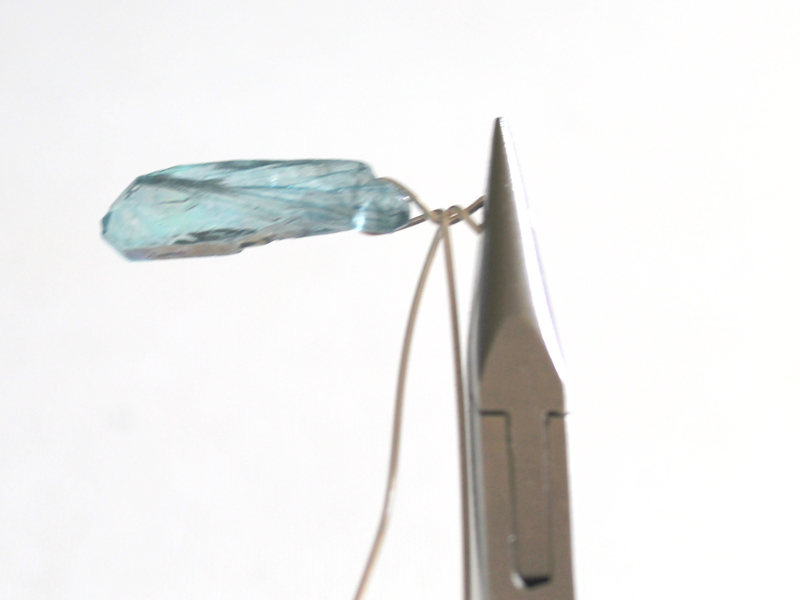 Keep your wraps close together and straight as possible. 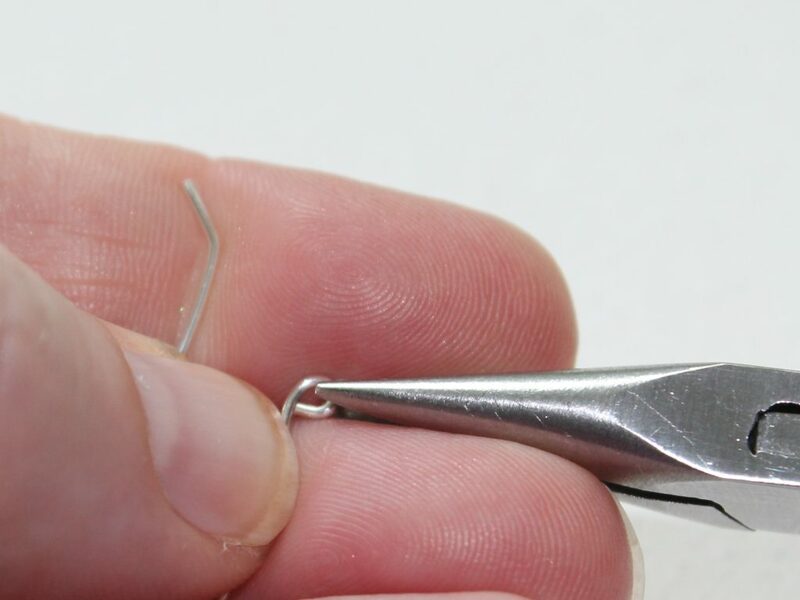 Make sure your wire ends are not poking out using your chain nose pliers to make sure they’re pushed in. 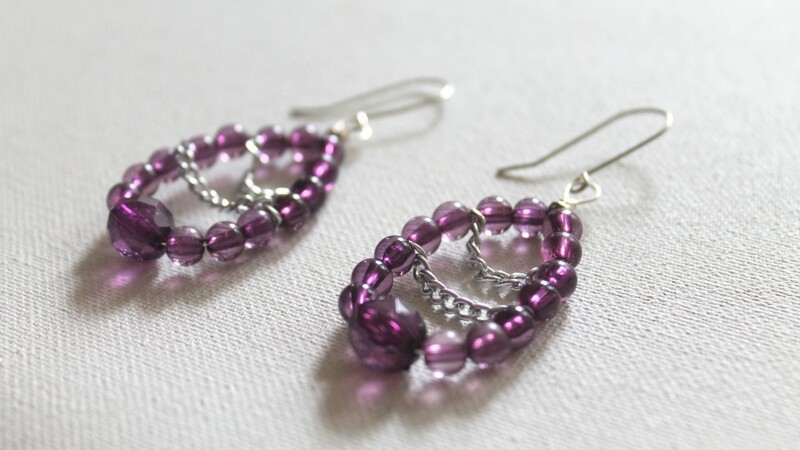 Repeat for all 4 beads. 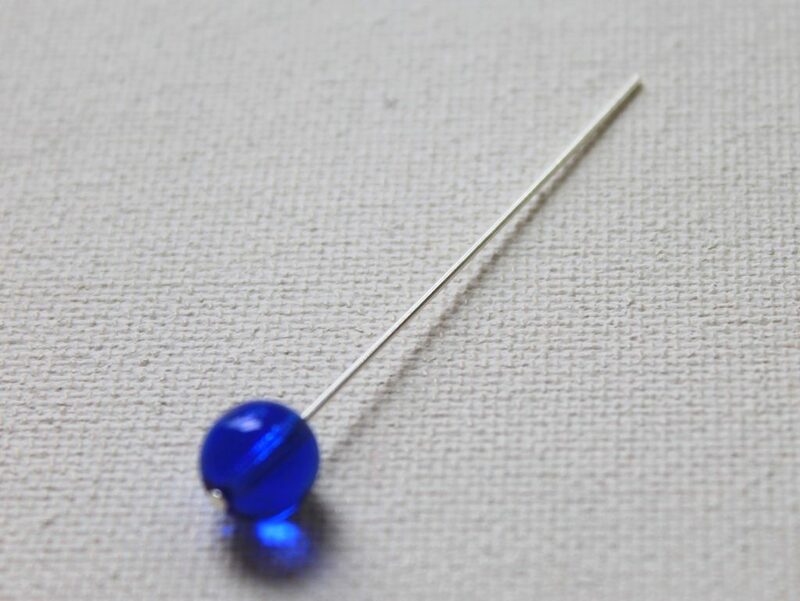 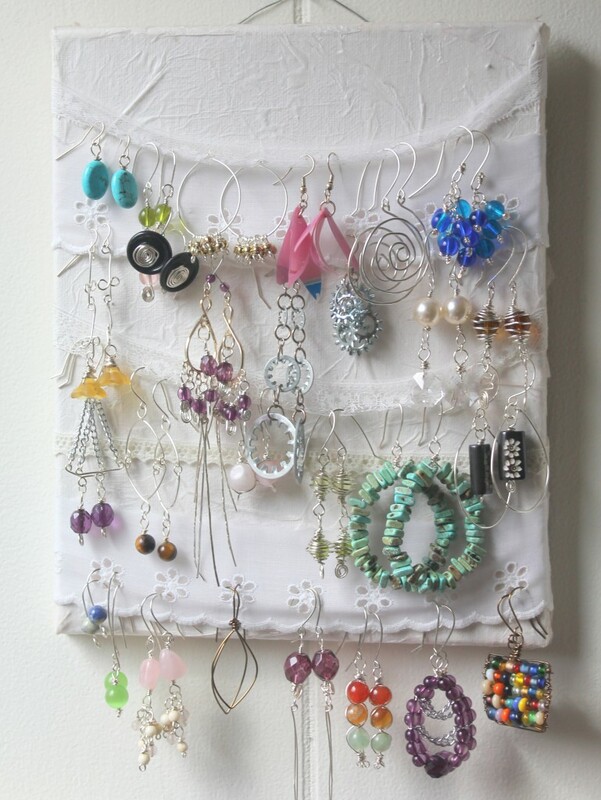 Open up earring wires and add the beads. 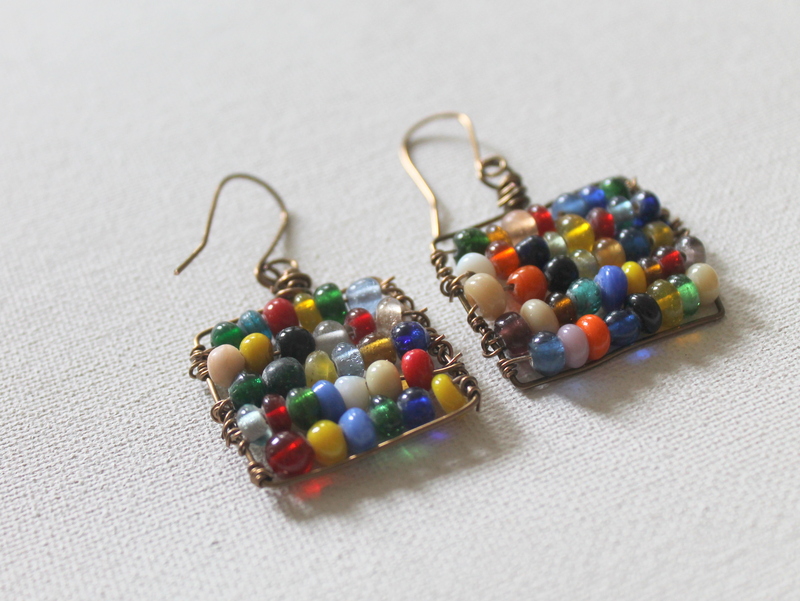 I added the longer bead first and the shorter one in the front. Remember, you can browse through my eWorkshops, eBooks, eCourses and tutorials in my shop. 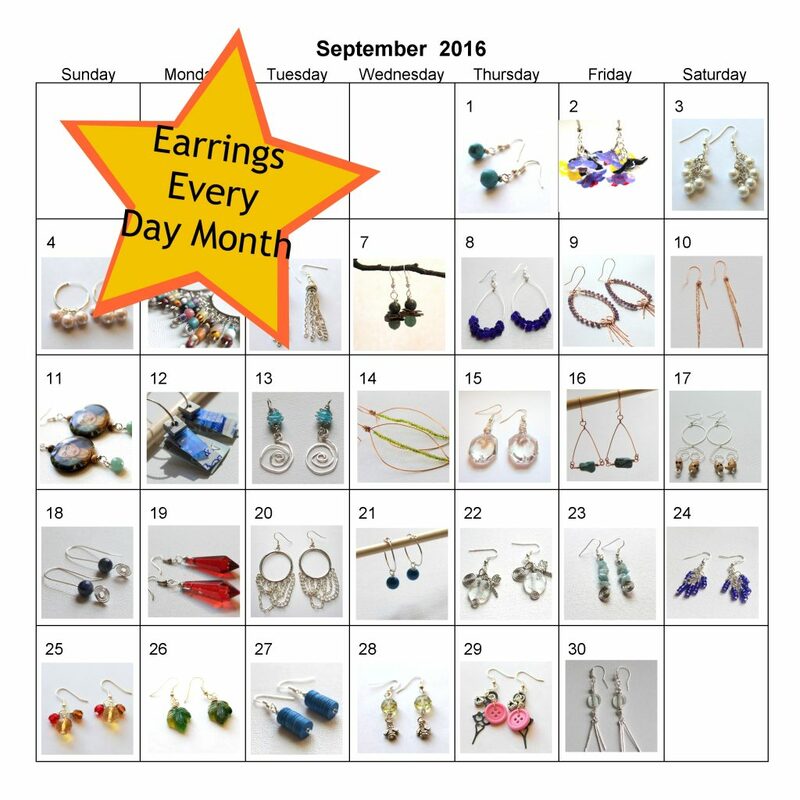 We’re in the home stretch of Earrings Every Day Month! 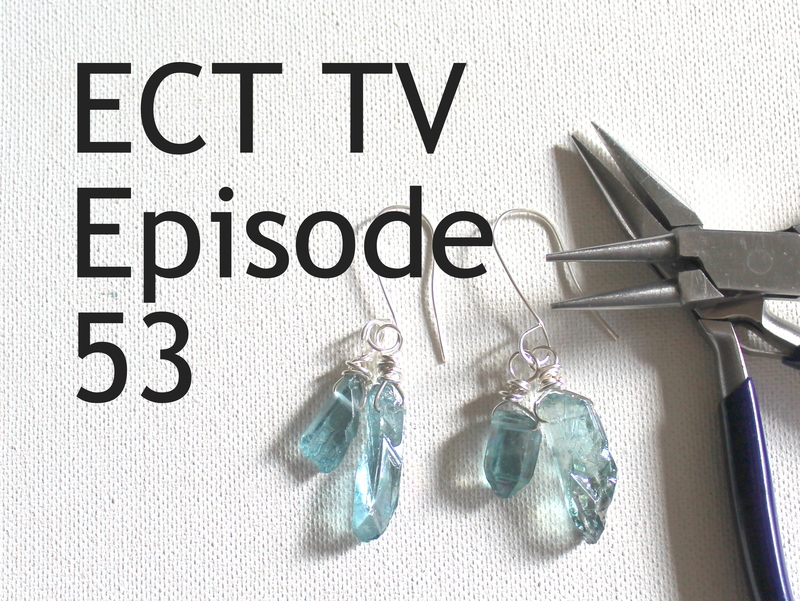 If you missed it this year, I’m so sorry, but you can watch for it again in September 2016! 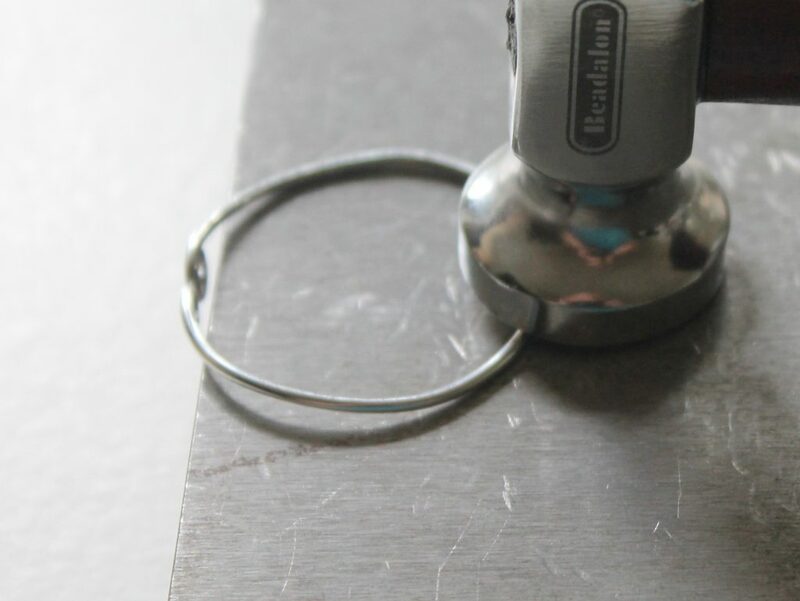 If you still want to participate, you can simply challenge yourself every day for a month. 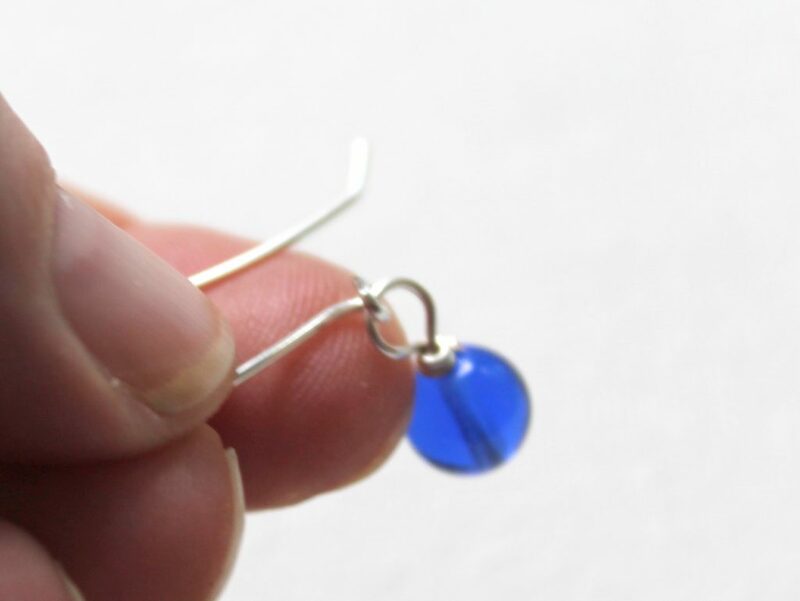 It doesn’t have to be earrings necessarily, but earrings are (usually) quick to make and you can feel creative in a short period of time. 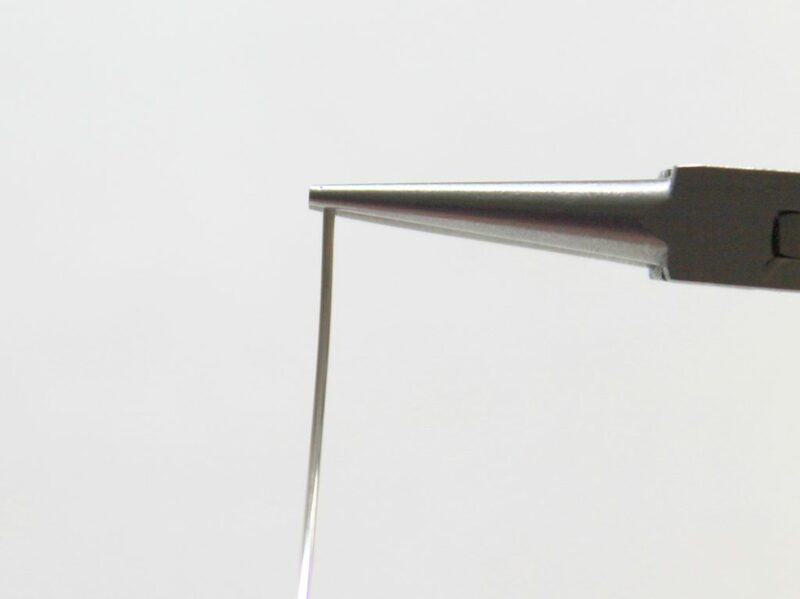 This isn’t particularly what you think of when you think of weaving wire, but people do call this technique weaving, so that’s what I’m calling it.